Export appointments out of Outlook to use and manage them inside your GMX Organizer. So you will not lose any appointments. 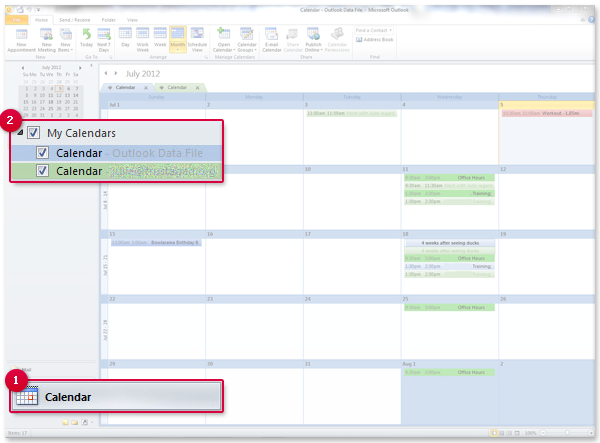 Open Outlook and click Calendar. Select a calendar to export, e.g. Family. In the File menu, select Save as (Outlook 2007) or Save calendar (Outlook 2010 & 2013). Select a storage location and click Save. Outlook creates a file in the "iCalendar" (.ics) format, which you can import into your GMX Organizer.